Grab some tissues for this one. I learned Ginger had twin girls my daughter’s age. She also had three older kids. Our kids had been in the same school for years and our three had never been in the same class. Hmm, I thought. I should meet this Ginger. I didn’t realize until later, but Ginger had actually contacted me while we were going through everything with Ian. After he had his fingers amputated, I changed all of our dishes to melamine ones (plastic.) I was determined to have Ian help me in the kitchen again, and I figured it would be nicer for them to be lighter and not breakable. Anyway, Ginger sent me a sweet email offering to give me some new melamine dishes she had just bought. She was kind in her email, telling me her family was praying for Ian. I replied to her email and thanked her, but said I’d found some already. That was the end of it. For the next year, I continued to hear about this Ginger. We just kept missing each other. I knew OF her, and I think she knew OF me. We both wanted to meet each other. Then it happened. We were both registered to attend a writing conference in the summer of 2014. Would you believe we lived in San Antonio, but ended up meeting in Charlotte, North Carolina? She was as sweet as everyone said she was. She was warm and kind. She said she was a speaker and she was writing a book with her husband. Then she shared her story with me. I was blown away. Troy and Ginger were happily married with five kids. Troy was in the Air Force, and in Sept 2006, was deployed to Iraq. He said goodbye to his wife and kids that morning, not knowing it would be the last time. Sadly, Troy was killed in a plane crash. Ginger lost her husband. Their five kids lost their daddy. Americans lost a brave young hero. As I write this, I try to put myself in Ginger’s shoes. My husband is gone. I have five kids to take care of on my own. My kids won’t have their daddy. My twins are not even a year old! What am I going to do? How am I going to survive this? Meanwhile, another beautiful story had unfolded. Let me just say, I didn’t know any of the following people. 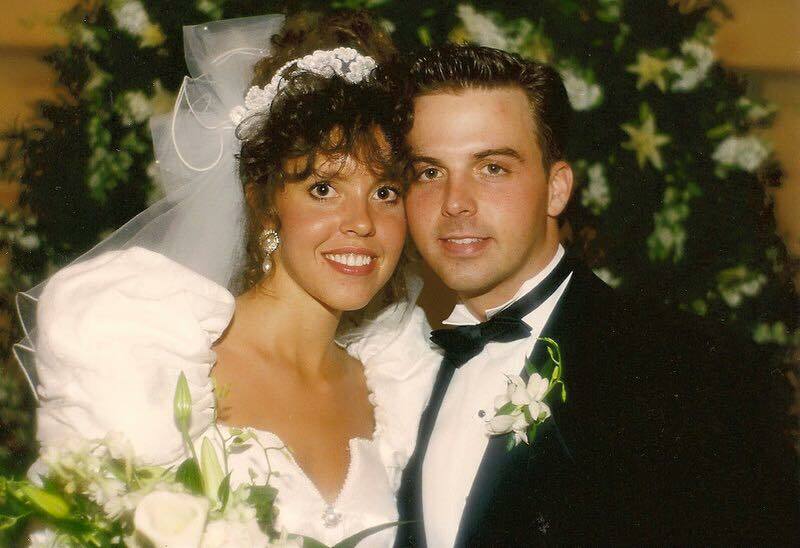 Jim and Andrea were married. They had two sons. They, too, were an Air Force family. Andrea was a brave young woman fighting cancer. Darn that dreaded nightmare that is cancer. I hate cancer. Sadly, Andrea lost her battle with cancer. Her loving husband, Jim, was left to raise their kids without their beautiful mother. This is where my own writing stops. I don’t have the words to adequately tell this story. I tried, but I fall short. Ian just got back from a run and found me sobbing in front of my computer at my kitchen table. Instead, I will share their words. This is written by Jim, from their blog. Again, I urge you to get tissues. 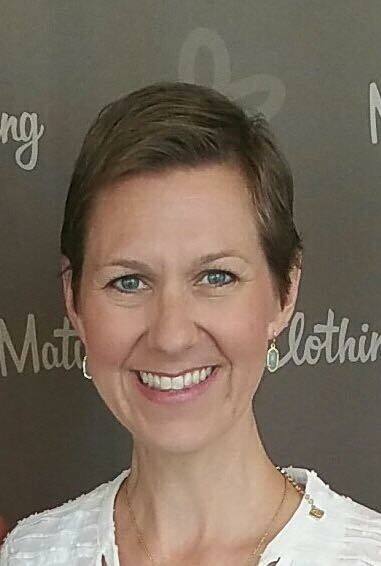 Andrea was diagnosed with stage II breast cancer in Aug 2003 while we were stationed in Anchorage Alaska. After 6 months of chemo and radiation we moved to Washington DC. In June 2005 we moved again to Seymour Johnson AFB in NC. Two weeks later Andrea was told the pain in her hip was breast cancer that had spread to her bones. Two weeks later we were told the cancer was also in her liver and lungs. July 5th 2005 Andrea began chemo treatment. On Dec 17th 2007 Andrea lost her fight with cancer but won her place in eternity. faithful servant of Christ. Troy was an F-16 pilot who volunteered to serve in Iraq. He deployed in Sept 2006. One day during his tour there he was tasked to provide close air support to a special operations unit who had come under overwhelming enemy fire. In an attempt to limit civilian causalities Troy made two low level passes employing the gun from his F-16. After a successful first pass Troy attempted a second pass to ensure the safety of the American soldiers. It was during this pass that Troy’s F-16 impacted the ground. On Nov 27th 2006, Troy lost the fight in Iraq and that day won his place in eternity. This blog is about our experiences, what God has taught us and most importantly about God’s faithfulness. It is about dealing with life with cancer and life after cancer. It is about dealing with the sudden tragic loss of a spouse. It is about death and life and the deep grieving and growing process we are going through. It is about our victories and our struggles. But always it is about God’s unfailing love for us. This is their beautiful blended family. I love how God has joined these people! Our girls did eventually end up in the same class. And, wouldn’t you know, they got along beautifully! The three have such gentle, sweet spirits. Only God could know they would need those having gone through what they have in their short lives. I am blessed to know of Ginger, AND to count her as one of my friends. She is amazing. Jim, well, he is an outstanding man. I pray my boys will grow up to be the caliber of man he is. Jim now runs the organization Folds of Honor. 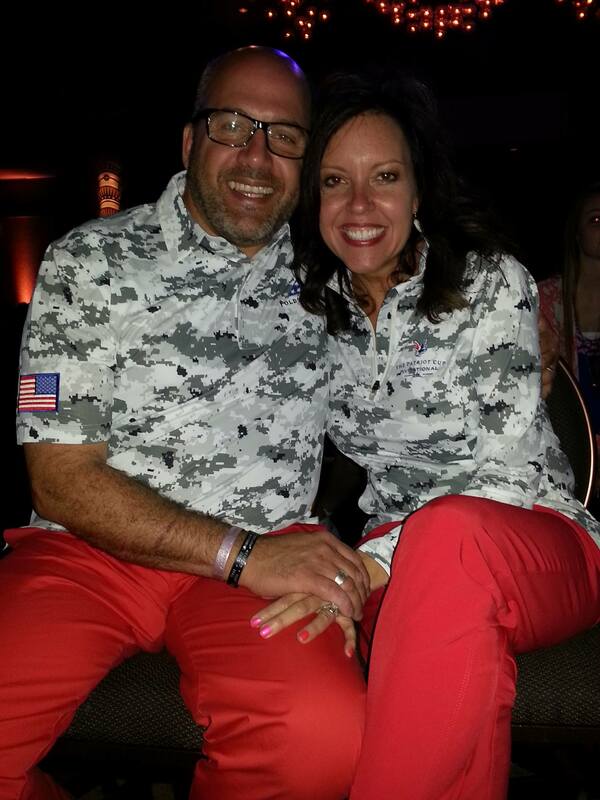 Folds of Honor awards scholarships to children and dependents of military who have been killed or disabled in combat. Ginger is a speaker and shares their story with others in similar situations. Ginger and Jim are real life heroes. Troy and Andrea are heroes, too. Although they were gone too soon, they will definitely not be forgotten. Jim describes it perfectly on their blog. They are four lives; two sadly taken and two left behind. This post is part of a series of 31 Real Life Heroes. If you’d like to nominate your hero, please email dwarshak(at)gmail.com. Real Life Hero: Matthew M.
This guy is amazing. Ian and I met him at a coffee shop in town a while back. He came up to Ian and just asked him about his legs. Why he’d picked those, what he liked about them, etc. We thought he was a newbie amputee and we might be helping him. Come to find out, HE was the pro and was able to shed some light for Ian. He truly is a REAL LIFE HERO! The following day, Matt wrote, “On this day four years ago (September 18, 2015), I climbed into my truck and went out on my last mission as United States Army Infantryman. As we pulled through an intersection the IED detonated and the trucks V-hull design saved our lives. Unfortunately there was supposed to be a $20 rubber matt insulating my feet from the metal floor. It’s absence caused the energy transfer to make my heels explode inside of my feet. When we landed I was saved from a TBI and stayed conscious, but running off adrenaline, I leapt from truck to render aid to my driver. The “impact” with the ground drove my ankles through my feet. Breaking and dislocating them. I would spend the next two years enduring 22 surgeries as I waited for the docs to put me back together again, and grew more angry and disheartened with each setback. Everything changed when MRSA infected my left foot and I was made an amputee. My success completely depended on me, and the work I was willing to put in! I got invited to an event by “Warfighter Sports” called Ski Spectacular and I would meet Team Utah, and witness everything I could become! Champions who were going to represent our country as amputees. That moment changed everything. I would go on to live a year so intensely, my right foot simply couldn’t keep up, and I would have it amputated and begin my therapy over again just so I could keep pursuing my dreams. Four years ago I was simply living to check off the list of things you’re “supposed” to do. Today I stand more complete and whole than I ever imagined. I am grateful every single day for that IED and the way it destroyed my world. Two weeks ago I packed up all my stuff in Texas and moved to my home state of Utah, so I can train with those very same people who showed me that anything is possible. I was not a snowboarder, I was not an athlete, I was a boy with a gun and a dream of making the world a better place. Today I am a mentor, counselor, ambassador, and I will do whatever it takes to earn the prestige of being an athlete who wears this country’s colors again! Matt has been doing amazing things and continues to motivate others all over the country. He is a well-sought after motivational speaker. Real Life Hero: Jeff J. 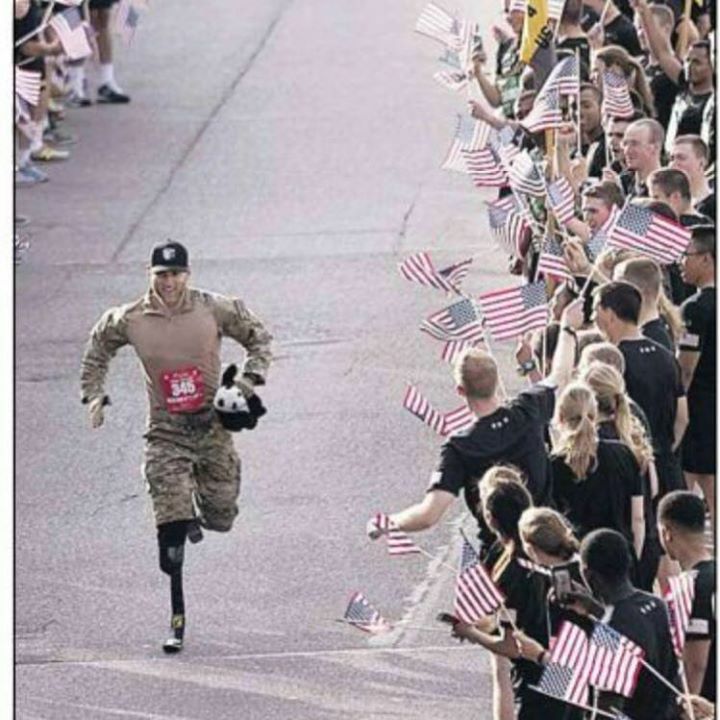 We live in the land of the free because of the brave. Jeff J. is one of the brave. Jeff is a wonderful husband to Allison and an amazing dad to their two kids (and one on the way.) He’s a go getter, determined to live life to the fullest, with a positive attitude no matter what comes. Jeff’s story is a tough one to swallow. I’m hoping I can do it justice, keeping the facts straight and his integrity intact. Jeff was deployed to Iraq from March 2004 through March 2005. During that year he went on over 700 patrols in the slums of Baghdad. During a patrol in May his unit came under heavy fire. A RPG (rocket propelled grenade) pierced his unit’s Bradley tank. His back was broken in multiple places. God showed him mercy. He recovered and came home to his beautiful wife. Sadly, ten years later these injuries continue to cause major back problems. Jeff deals with pain daily, and on a normal day his legs go numb around lunch time. Doctors say not much can be done. Despite the daily struggles, however, Jeff never complains. If you see him in public, you would never know the pain he is in. In addition, eight months of heavy combat are hard to forget. Jeff also deals with Post Traumatic Stress Disorder. PTSD is an anxiety disorder that can develop after a person is exposed to traumatic events, specifically warfare in Jeff’s case. Symptoms include disturbing recurring flashbacks that can last months or years after the events. He has nightmares once a week to this day. Although he has sought treatment, PTSD is something he will never fully get over. In addition to nightmares, Jeff also has adverse reactions to loud, unexpected noises. Fireworks on holidays, for example, send his mind back to his days in Iraq. The memories are unbearable. Learning Jeff’s story has given me a new appreciation for our military servicemen. Their experiences during war are horrific. When they return home, they do not just forget what happened and move on. No. They live with the effects of their experience for the rest of their life. Knowing this about Jeff has helped me realize that some disabilities, although not visible, still have life-changing impact on a person. We should all keep this mind, especially in the case of veterans. Jeff is a true hero. He has displayed courage, bravery, and self-sacrifice, in this case, for the greater good of his country. We should all be thankful to him for his service and for his willingness to defend this great nation. Thank you, Jeff, for being a real life hero. Thank you for living your life as an example for us all to follow. You are appreciated! Your efforts and hardship will not be forgotten. Real Life Hero: Alana W.
Jessica met Alana through their kids’ school. She immediately loved her thick southern accent and infectious laugh. The two became great friends. Jessica considers Alana her real life hero and was anxious to share her story. Most of this post was written by Jessica. A little more than a year ago, Alana was diagnosed with breast cancer. Knowing she had a difficult battle in front of her, she faced it head on and never lost sight of what she was fighting for-her beautiful family. She had the love and support of her wonderful husband and two children, as well as friends and family all around her. After attending the Justin Timberlake concert in New Orleans on August 3rd, I discovered a lump in my left breast after taking off my very uncomfortable strapless bra. Chalking it up to a night of fun and an ill-fitting bra, I carried about my time in New Orleans and then the following week in Mississippi. We returned to Austin and I made an appointment with my doctor. She saw me the next day, August 12th, and then ordered a mammogram for the following day, Wednesday the 13th. To be honest, I was not that worried because the lump was painful and breast cancer is not supposed to hurt. Right? Regardless, I had my mammogram on Wednesday and the radiologist immediately ordered an ultrasound which was done at the same appointment. After the ultrasound, the Radiologist asked to meet with me in private. Uh oh. He informed me that the lump had calcifications around it and then a line of calcifications extending 10 centimeters from the lump. He said the lump measured 1.6 centimeters. I asked what all of that meant. His reply was “I am concerned. You need a biopsy right away.” Well crap. I had a biopsy the next day, Thursday, August 14th. However before the biopsy was even done the surgeon told me that I had breast cancer. She was very matter of fact and left no room for doubt. She proceeded with the biopsy. There was a fear that the lump was attached to my pectoral muscle. I was sent home to wait for the results over the weekend. The longest weekend of my life. I was convinced I had stage 3 cancer and was worried I wasn’t going to be ok. On Monday the 18th, I found out I had Invasive Ductal Carcinoma, Poorly differentiated. I was devastated. I did learn, however, that it didn’t appear to be attached to my pectoral muscle and that I most likely had caught it early. The pain was from the tumor pressing against my muscle, causing soreness. I breathed a little sigh of slight relief. My cancer is fast growing and aggressive. If it had gone untreated, who knows what could have happened! Wearing that strapless bra that pressed the lump into my muscle causing soreness truly saved me! (Thank you, Justin Timberlake for “making” me dress up for you and your concert! ) The next 2 weeks were filled with endless doctor appointments, more biopsies (ouch), more mammograms, ultrasounds, and lots of fear. Today, I’m ready to fight this cancer and come out like a champ. I am positive and ready. I know I have a long road ahead of me, but I also feel confident that I will be ok. My kids are being brave and seem to be handling all of this ok. My husband has been a rock and his faith that I will be healed has never wavered. The Lord promised to never leave me or forsake me. I know He has me in His hands and will see me through this. My prayer has been one of thankfulness and faith. I can’t wait to see what God does through our family and I can’t wait to see how He delivers us from this nasty thing called cancer. We are ready. At the time, she thought it was probably stage two. She was scheduled to go in for a double mastectomy and we had a big going away party for her boobies. She was so strong and brave and always had a smile on her face. Her faith was and still is very strong. That is one of the main things that has gotten her through all of this. She had the surgery and found out that the cancer was also in 10 of 32 of the lymph nodes they removed. One of them had erupted and which caused it to spread to other parts of her body. She was dealing with a diagnosis of Stage IV, which is incurable. She had such a difficult battle in front of her. She went through chemo, lost her hair, bought wigs and hats with hair. She changed her diet completely and gave up so many things that would not be beneficial in her fight. After she finished chemo, she had to have radiation for some spots on her sternum. The road has not been easy, but she has endured it like a champ. Fast forward a year. Alana has been declared NED! That means NO EVIDENCE OF DESEASE! She will be the first to tell you that it is a miracle, that her faith in Jesus is what cured her. She is one of my heroes because she never lost faith or sight of what is important. While she and I have a very different religious and spiritual belief, it has never been an issue. She just has the biggest heart and so much determination. She knew she had to fight and she did it with everything she had and she gave control to God because that is what she felt she needed to do. I am a fighter too and very strongly believe that you always have to try to see some sort of good in everything, in every situation. She believes she was given all of this for a reason, she may not know it yet, but that God has a plan for her. I admire her attitude and her will and her faith. 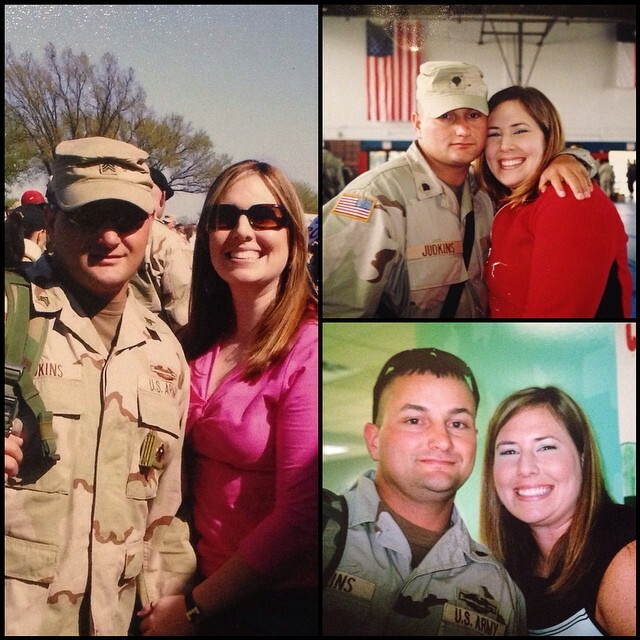 Thank you, Jessica for sharing this amazing story of a real life hero. Thank you, Alana, for being that hero for those around you! You are a true example of strength and perseverance. You never gave up hope. Real Life Hero: Lenzie D.
Today’s post is a continuation of yesterday’s. The amazing woman I’m writing about today is Jaxon’s mother. Lenzie is a dear friend of mine. Knowing her has always been a blessing, but it was our struggles that brought us a deeper friendship in recent years. I believe she is a gift from God to me and to many. Lenzie is married to Cory. She is the mother of five babies. Two of them are in heaven, she lives with two, and she has one on the way. Cory and Lenzie have a solid marriage. They’ve lived through a lifetime of heartache in a short few years. They love and support each other even on the toughest days. Some people never meet their hero… I gave birth to mine. Courtney nominated Lenzie as her hero. She met Lenzie in January 2012 when they were both in the hospital with loved ones. Lenzie’s son Jaxon and Courtney’s brother both had brain cancer. In the short time they’ve known each other, Courtney has been inspired by her. Lenzie wakes up ready to continue to share her son’s legacy. She is one hundred percent transparent about the emotions and daily struggles that come with the death of a child. She shares the victories and defeats with the grace of a woman and not the grief of a mom. Her faith in God remains her strength. For Lenzie being a mom isn’t just about feeding and clothing children, it is about teaching them to be amazing people who are the hands and feet of Jesus in the world. In five short years she impressed that upon a child who was a servant of God until his dying day, and who continues to unite those who loved him to continue his work. Lenzie continues her son’s legacy through Jaxon’s FROG Foundation. She spends time giving back to children who have cancer and their families. Knowing first hand what that is like, she is sensitive to their needs and understanding to each situation. Cory and their two children are all involved, too. The FROG Foundation is a family affair! Lenzie Davis is a real life hero for many reasons. She is an example of a strong wife and mother, always looking out for her family’s best interest. She is an example of a firm believer in Christ, trusting completely in God’s plan for her life. She loves to serve and give to bless others. She is an example to us all. I cannot fathom the pain she must feel after losing a child. I’ve heard the saying that parents should never have to bury their children. She did. I’m proud of Lenzie for waking up every morning and getting out of bed. I’m proud of her for keeping the faith and continuing to live life to the fullest. Although she couldn’t control what happened to Jaxon, she can certainly control how she chooses to move forward. She is making Jaxon and the rest of us proud by just being who she is. And, for most of us, she truly is a real life hero. Love to you, dear Lenzie! Real Life Hero: Jaxon D.
Today’s hero is a child. A child whose five years on earth made an impact on more people than most of us ever will. Read and be encouraged. There are people who come into your life whom you don’t ever forget. Their smiles are etched in your mind long after they’re gone from view. You get a fuzzy warm feeling inside just thinking about them. You know you are a better person for knowing them. Jaxon Davis is one of those people. At the six-week ultrasound, his parents were fascinated by their baby’s heart beating. It was the first thing they fell in love with. Little did they know just how special this heart would be. Jaxon came into the world on May 23, 2007. Everyone who laid eyes on him immediately adored him. His smile was big and contagious. Wherever he went, an aura of joy surrounded him. Jaxon was an active boy, exploring and loving every minute of life. Jaxon had a seizure when he was three-and-a-half years old. This took everyone by surprise. Doctors diagnosed him with epilepsy and started medication. However, the seizures did not stop. Three months and several hundred seizures later, doctors revealed Jaxon had a brain tumor. The Davis family was heartbroken, as were their family and friends. Although they were discouraged, they had hope that God would heal Jaxon and use their situation for good. 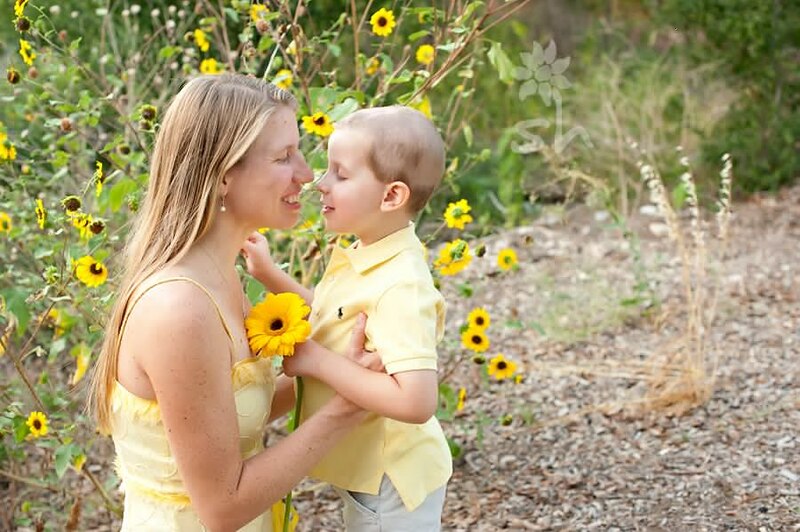 After considering their options, the Davis family decided they would move to Houston for seven months to provide Jaxon the best treatment possible. Family and friends far and wide prayed for complete healing for Jaxon. The Davis family received donations, meals, gift cards, and toys for the hospital. God provided every need during this hard time. This became Jaxon’s motto. He knew he could be strong and courageous with God’s help. Jaxon went through the treatments, no matter how tough. He wouldn’t give up. He was always brave and ready for the next thing. While Jaxon was at the hospital, he saw a need. Other children with cancer were struggling, too. Sometimes they weren’t as brave or courageous as he was, and he hurt for them. He wanted to lift their spirits and bring smiles to their faces. Soon Jaxon was more interested in helping others than he was in himself. On hard days, helping and encouraging others was what helped him get past his own pain and frustration. He began raising money to help kids in the hospital. He used the money to buy toys, stuffed animals, pillows, and other items to encourage other kids struggling with cancer. He loved helping others! Jaxon’s heart of gold didn’t stop there. He continued helping and giving to kids with cancer, was recognized by the Pay it Forward Foundation, and became the third inductee into their hall of fame. Sadly, Jaxon’s cancer returned. Even when it became clear that treatment was ineffective, Jaxon never got discouraged. He continued to raise funds to shop for toys for other kids battling cancer. He never stopped caring for others. Jaxon passed away on November 25, 2012. 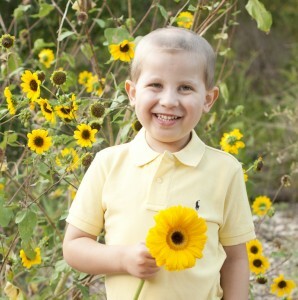 Although Jaxon’s cancer was not healed, his parents have hope in God and believe he is healed in heaven. Even from heaven, Jaxon’s heart of gold continues to touch lives. His parents, Lenzie and Cory, have formed Jaxon’s F.R.O.G. Foundation, a nonprofit organization that continues his ministry of spreading smiles to kids with cancer. Jaxon’s favorite animals were frogs, and the acronym “Fully Rely On God” is a perfect fit. The foundation provides welcome bags for kids arriving for radiation treatment, treats families to outings away from the hospital environment, and delivers smile bags to kids at the hospital clinic. It also invests in childhood cancer research and has sponsored a playroom at the hospital to brighten the days of these young warriors. Jaxon Davis is a hero. Heroes don’t have to be adults. Heroes are people who inspire us, who motivate us to do better. We love you, sweet Jaxon! Godspeed! I’m moved beyond words to share today’s story. Sometimes a person’s act of kindness changes someone else’s life. Sometimes it actually SAVES another person’s life. Although I’m writing about one individual, there are actually three heroes in this story. 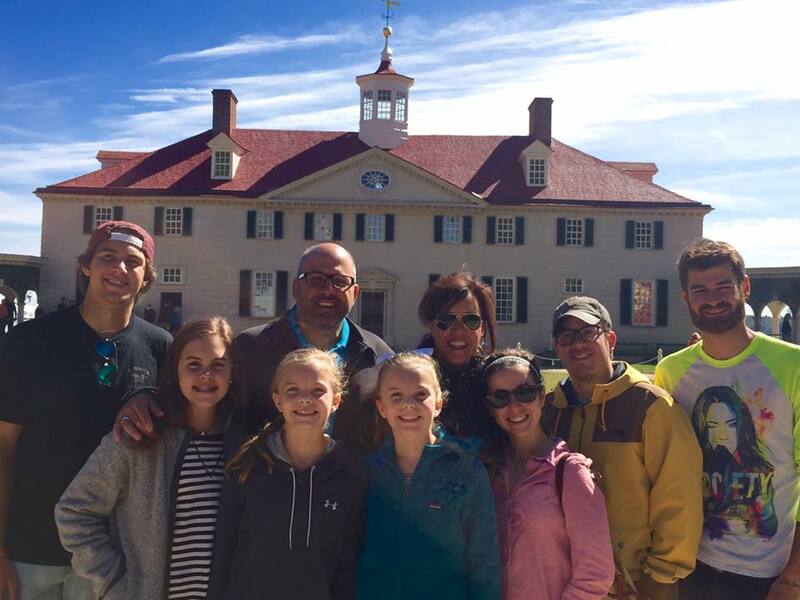 Wayne M. is a family man and a college student. Most days he wakes up at 6am and does the typical things most of us do. He gets up and gets dressed, spends time with his wife and daughter, feeds his dogs and chickens, and is out of his house by 7am. He attends Embry-Riddle Aeronautical University and is working on his BS as an Aerospace Engineer. His school day starts at 7:45 and ends about 5pm. When finished, he goes home and does dinner, homework, housework, and feeds the dogs and chickens again. Pretty normal sounding guy, right? Ten years ago, on September 15, 2005, Wayne was at the right place at the right time. The second hero in this story is Yvonne L.
It was a day like any other. She was at a shopping center parking lot. She could never see it coming. A driver high on meth. It was all so fast. The car hit her. Her legs were severed on impact. Wayne was there. Without hesitation, he ran to her side. A U.S. Marine at the time, the life saving techniques he learned in training camp came into play in a way he never they could. Wayne was at the right place at the right time. 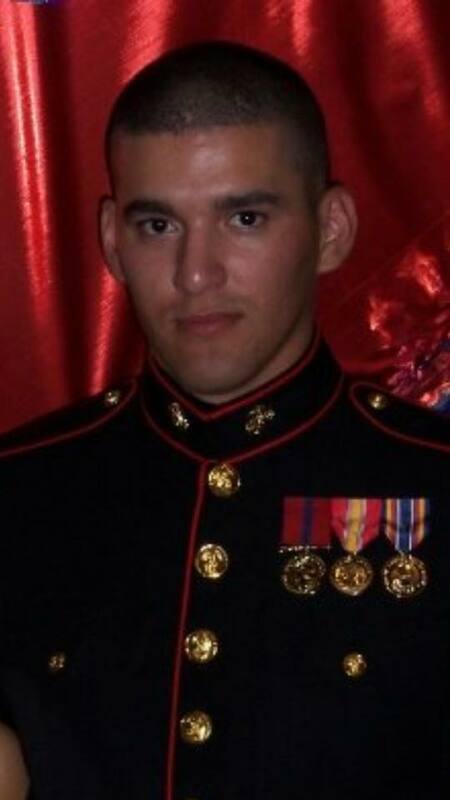 Our third hero is James C. He, too, was a U.S. Marine at the time. James, too, was the right place at the right time. The two men ran to Yvonne’s side. Wayne took off his belt and applied it as a tourniquet to one of Yvonne’s limbs. James did the same with his own belt. Her blood was all over them, but they did not care. If they hadn’t done this, she would have bled to death. These men saved her life. Yvonne shared this story with me. She considers these two men her heroes. They didn’t have to help her that day. But they did. She considers them her angels. You are a hero, too, Yvonne! Look at what you’ve been through and you still have love, joy, and peace in your heart! You, sweet lady, are amazing! Thank you, Wayne, Yvonne, and James, for being real life heroes! Thank you for being such light in a world that can often feel so dark. You are an inspiration to us all! To read about more real life heroes, go here.